Choose from a range of levels and practise your addition facts. Y1: Know by heart all of the pairs of numbers that total 10. Y2: Know by heart all of the addition...[sic]facts for each number to at least 10. Save The Whale Version 2 The whale is stuck in the lake, she wants to got to the sea. Click on the number bond that would complete the water pipe. Then place your choice on the end of the water pipe. This is different from the old 'Save the Whale' game in that the pipes are easier to move and you can choose totals other than 10. Recall number facts up to 10+10. Funky Mummy Recall number facts up to 10+10. See the Funky Mummy dance when you get it right! Get 10 answers correct without clicking on a wrong sarcophacus and you can write in Egyptian hieroglyphs. Funky Mummy 20 Recall bonds of 20. See the Funky Mummy dance when you get it right! Get 10 answers correct without clicking on a wrong sarcophacus and you can write in Egyptian hieroglyphs. Know simple addition facts up to 9 + 9.
safe cracker Learn and practise single digit addition facts by turning the tumblers on a safe. If you get four correct you can enter the safe and play a game. Save the Whale Mend the pipes to save the whales. Y2: To know that you can add more than two numbers together. Quick recall of addition facts. Flight 4 Fuel Collect fuel by flying into it. SHOOT THE FUEL THAT YOU DON'T WANT! The faster you shoot the fuel that you don't want, the faster you see new fuel! (Y1) Know bonds of 5. Add by counting on. (Y2) Add by using bonds and bridging. +5 Fuel Stop Add 5 units of fuel to each ship that lands at your refuelling base. Year 1 children can do this by counting on. Year 2 children can do this by breaking 5 into it's bonds e.g. 17+5= 17+3+2. Objective: Know by heart all pairs of numbers with a total of 10. 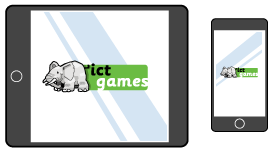 Catch 10 In a similar way to the games at the seaside, imagine your mouse pointer is a hammer, you must tap all the animals on the head with a total of 10. Objective: Use the knowledge that addition can be done in any order to do mental calculations more efficiently by partitioning into '5 and a bit' when adding 6, 7, 8 or 9 then recombine. Ogre hit! Add together numbers like 6, 7, 8 and 9 by using facts that we know, such as 6=5+1. So to make addition more efficient we can think of these numbers as '5 and a bit'. First adding the 5, then the 'bit'. In this activity the player will need to partition two such numbers before they add them together.